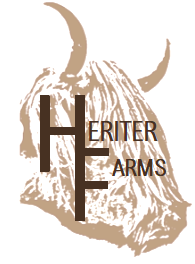 What Makes Heriter Farms Sustainable? What is a Pickup Location? What Do We Feed Our Animals? Pickup locations are predetermined addresses we use to make delivery of your orders easy, economical and simple. When you sign up for an account with us, you can set your pickup location to the closest one to your home or business. When you place your order you will be prompted to confirm your pickup location, and you can then select the farm, home delivery, or your closest pickup location. You will be notified by email the day before your delivery, reminding you that your order will be ready for pickup and the time frame for you to pick it up. We delivery on Saturdays at a set time and will always send a reminder ahead. Pickup locations are chosen based on our customers geographical area. We select parking lots or driveways based on how many customers live in that area and what is the easiest place for everyone to meet that has ample parking. You then meet us on pickup day at that location to get your order. We are still setting up pickup locations as our customer base increases, so please don't be discouraged if you enter your postal code and it says we aren't in your area yet, because we can set a pickup location that works for you. You can even volunteer your driveway for one Saturday a month and act as a pickup location, meaning you don't have to leave your home for fresh organic meat, it comes to you! Please contact us if you are interested in volunteering for a pickup location, and tell your friends, the more customers in an area the better (our deliveries are based on how many orders we have at that selected location). Why is this better for me? By choosing a pickup location for your order, you do not have to drive to the farm to get your products. You also don't have to shop at the grocery store and spend time waiting in lines. By choosing a pickup location you save having to pay for home delivery, and can get your months worth of meat in one purchase, taking the hassle out of deciding what to buy, or having to make last minute trips to town to pick up something for dinner. You can of course come and get your order in person, and take a tour of the farm to see how your meat is raised. We will gladly show you our Organic Certification application and proof of organic feed. You can see firsthand the animals environment, and ask us any questions you may have. We have an open door policy, we just ask for a heads up so we can be sure to make the time available to show you around, after all farmers never stop working! Can someone else pick up my order for me if I can't be there on the pickup date? If you want to designate someone to pick up your order on your behalf, we ask that you give us written permission via email, or a message online, stating their name and contact information. When they show up to get the order, we will ask them for ID just to be sure that you have provided the correct information. We want this to be as convenient as possible so that you continue to choose us for all your future orders. I've changed my mind and don't want my order anymore, or I want to select different products, what happens now? If you change your order before the processing deadline then there is no need to worry, we will simply cancel the order or change the products to match your new instructions. You will always receive an email reminding you that your order deadline is coming up and you have time to alter or cancel before it is processed. If you do cancel your order after the deadline and we have packaged and processed it through the system, you will be charged a restocking fee to cover our time spent putting the items back into the database and freezers. We want to have satisfied customers, so please contact us to talk about your order before cancelling to see if we can resolve the issue and make it right.